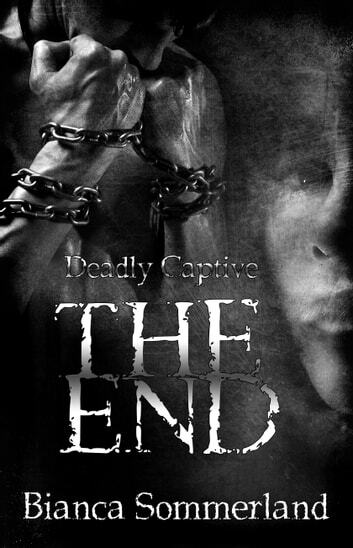 5 Star Review of The End (Deadly Captive #3) by Bianca Sommerland This is book three and the final book in the series and wow what a way to end the series. I have been not so patiently waiting for the conclusion to the Deadly Captive series and Bianca Sommerland did not disappoint me in any way. Firstly please be advised that you need to have read the previous two books Deadly Captive and Collateral Damage prior to reading The End to fully appreciate the story. I have been trying to think about what I could write in this review to ensure that I don’t accidentally include spoilers. The End is dark, extremely dark and yet I absolutely loved it. I was riveted from page one and actually stayed up all night to read this book; I couldn’t put it down. The plot is gripping and a real page turner as you anxiously read on (at times in fear) as to what will happen next. I fully admit I had to stop and re read paragraphs a few times over to ensure that what I was reading was correct, such was the angst and emotion brought to the surface not only from the books’ characters but what was drawn out in me as I read the book; I actually woke my husband with my crying on a couple of occasions At the heart of this story is love, a convoluted and at times twisted love, but love none the less. Lydia has given up her hard won freedom and voluntarily returned to the evil Cyrus's lair, fully knowing what her fate will be; all for the love of Daederich and his son. The cost to Lydia’s sanity and those who love her as they work against time to try and rescue her will be high. Will they survive the torture and pure evil? Or will they shatter and disappear? 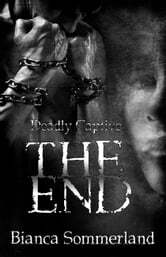 The End is a raw, emotional, gritty and amazing book, a fitting conclusion to one of the darkest series I have read and one I highly recommend. I congratulate Ms.Sommerland on an outstanding and totally fitting conclusion to the series..